Congratulations again to our Composer-in-Residence! 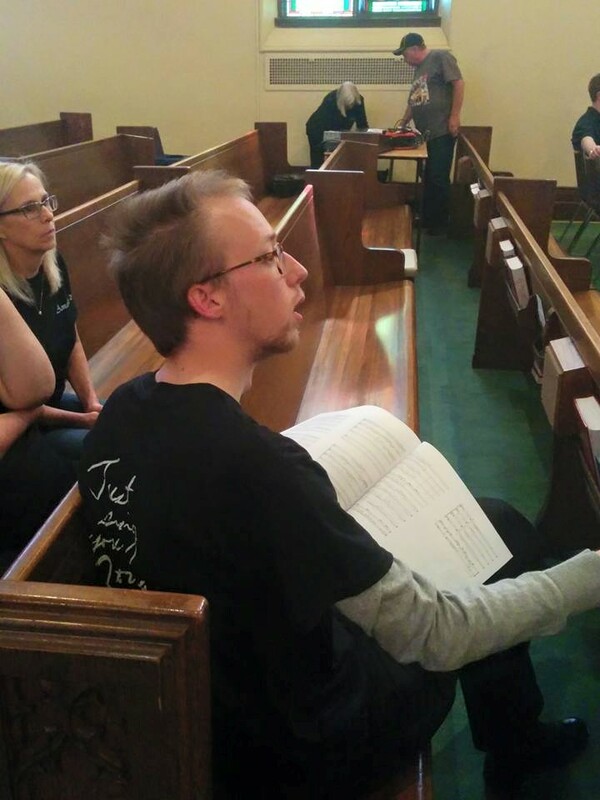 Amabile Choirs’ “Composer-in-Residence” Matthew Emery just scored another feather in his writing cap! All of the works that he has composed for Amabile Choirs this season will now be published by the largest choral publisher in North America, Hal Leonard Publishing, meaning that they are now available to be performed by choirs around the world! Hal Leonard Online is home to the world’s largest music print publisher. For over 60 years, they’ve been publishing and distributing publications for virtually every type of instrument and ensemble. Matthew’s compositions will soon be available alongside the sheet music for “Frozen”!! Word is that the choirs are working out the logistics to record the newest Amabile CD featuring all of the Amabile Choirs performing Matthew’s compositions exclusively! You may be able to help fund the CD and receive the first downloads of the CD, digital copies and an exclusive keepsake book of behind-the-scenes photos of the Making of the CD – tentatively titled, “Sing Your Song”. More about that as plans are confirmed.